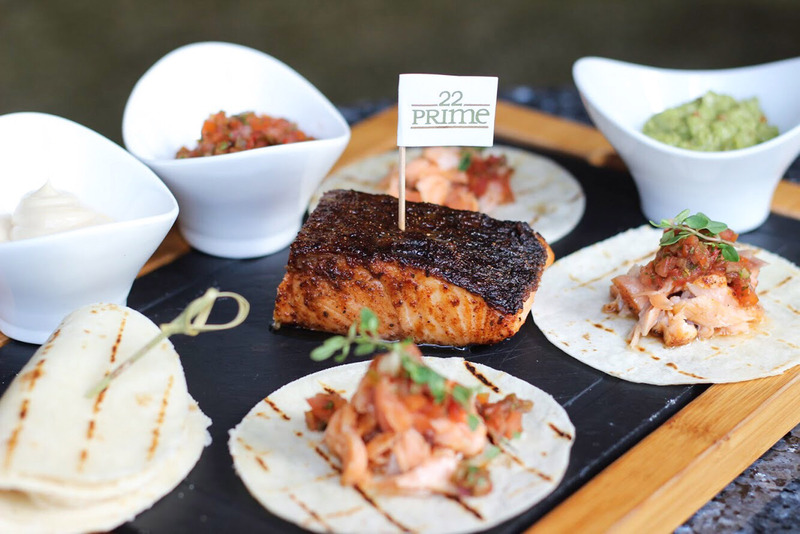 This summer, 22 Prime introduces a collection of newly curated selections for the midday appetite. The Lunch Menu features a range of greens, seafood, and meat specials that make for a truly delightful lunch break. Well acclaimed for its steaks, 22 Prime desires to serve various other dishes that are just as delectable. Executive Chef Gerwin Bailon exhibits his expertise in the creation of 22 Prime’s Lunch Menu, incorporating unique modern takes on traditional Western lunch specials, making them “distinctly 22 Prime” evident upon one’s first look at the Lunch Menu. The Wagyu Beef Hotdog for instance, is the classic lunch favorite hotdog sandwich. 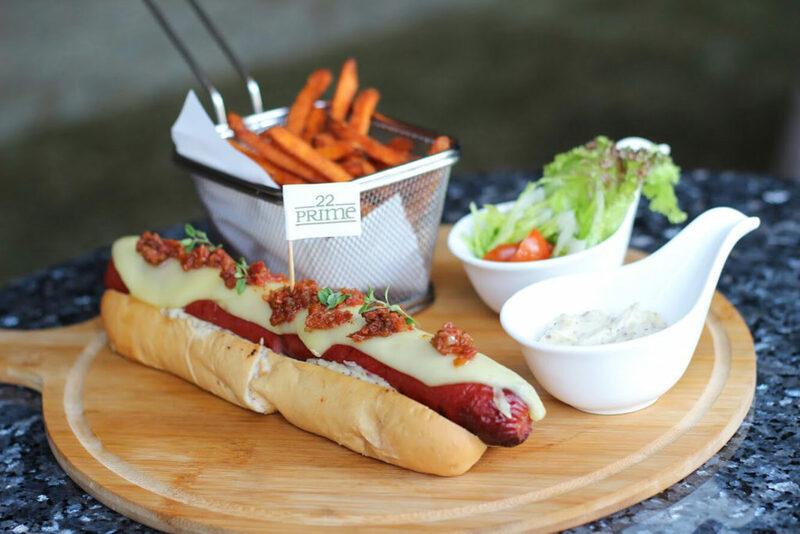 As 22 Prime is known for serving only premium meat, the dish features a tender, sumptuous wagyu hotdog. The restaurant’s take on traditional tacos involves substituting beef with Blackened Salmon, delivering a unique taco experience. Prime’s Caesar salad is served not only with chicken, but with one’s choice of salmon or shrimp as well. Seafood specials are bountiful on the Lunch Menu. 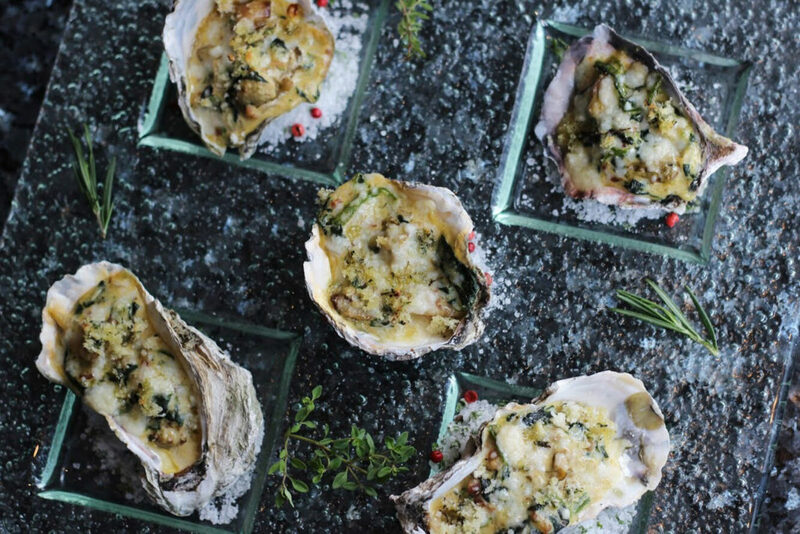 Starters include Oyster Rockefeller, Soft Shell Crab Tempura, and sustainably line caught Yellow Fin Tuna Poke to name a few. 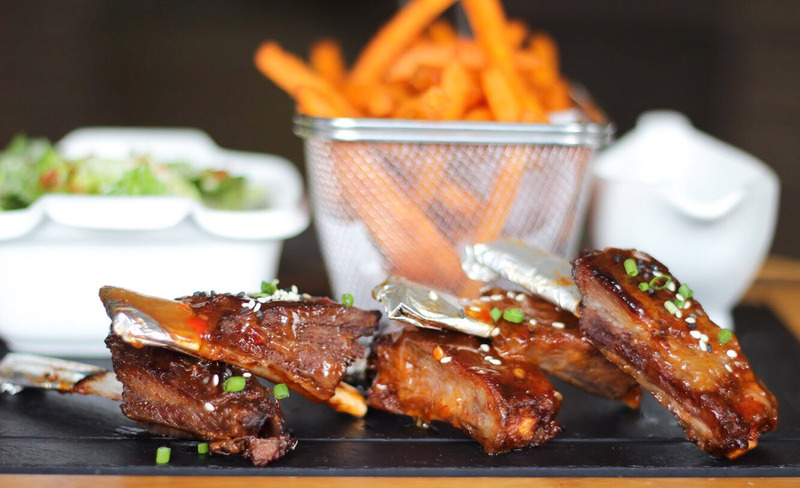 Meat specials on another hand, are blockbusters as always—Prime’s Burger, Steak Knife Sandwich, Baby Back Pork Ribs, Braised Short Ribs Stroganoff, Pork Chop Schnitzel and Asian Lamb Riblets. Other selections include Sesame Chicken, Buffalo Cobb, Chicken Piccata, Seafood Risotto, Four Cheese with Mushroom Burger, Yellow Fin Tuna Salad, California Club Wrap, Prawns and Chips, and Fried Chicken Sandwich. 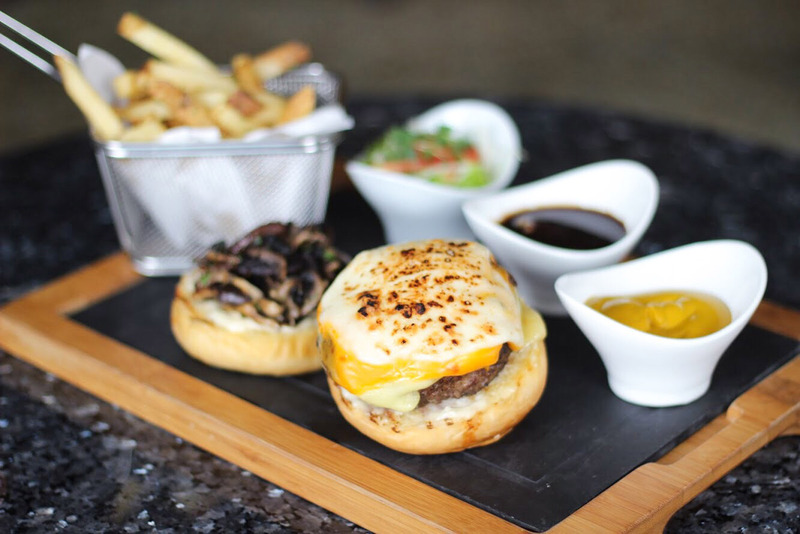 22 Prime’s all-new Lunch Menu is available daily from 11:00 am to 3:00 pm, alongside its all day dining menu. 22 Prime is located at the 22nd floor of Discovery Suites, 25 ADB Ave., Ortigas Center, Pasig City, Metro Manila, Philippines, and is open daily from 11:00 AM to 11:00 PM. For inquiries and reservations call +63 2 719 6822, email eservations@ds.discovery.com.ph, or visit http://www.discoverysuites.com/bars-restaurants/22-prime/. Calls and Reservations, Promotions, Special Menus, Photos, and Reviews are also available on the Zomato App at https://www.zomato.com/manila/22-prime-discovery-suites-ortigas-pasig-city.